Contains very high antioxidant level of 11.15% vs 5-6% for mass-market teas. 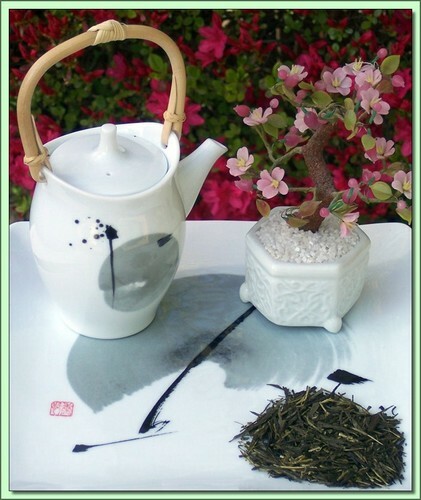 Character: Delicious green tea character with depth, body and some pungency. Cup tends bright forest green. Considered a good tea for everyday drinking by the Japanese, Sencha Akaike offers long notes of wheat, clover honey, sweet grass and subtle seaweed. The cup pairs exceptionally well with foods of all sorts, it makes an exceptional palate between courses. Organic tea is produced without the input of chemical fertilizers or pesticides and herbicides. Certified Organic by QMI Organic Inc. Certificate #: 150 - 2008. USDA Certified Organic. Hot Tea: Use water about 180F or 90C. Place 1 teaspoon of tea in your cup, let the tea steep for about 1-3 minutes.- do not remove the leaves from the cup. Once the water level is low - add more water, and so on - until the flavor of the tea is exhausted. Can be infused repeatedly 3-4 times using higher temperatures & shorter infusions until flavor is exhausted.